Textkernel’s semantic search reinforces PCRecruiter’s native full-text search engine, empowering recruiting, staffing, and sourcing professionals with deeper search and smarter matching capabilities based on the content of their resumes, job descriptions, and other keyword-rich content. Applying the power of Textkernel to PCRecruiter data helps users find and connect people and roles faster and more accurately. "With Textkernel, our users are able to match candidates with jobs that they might otherwise have missed." 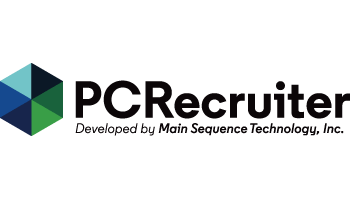 PCRecruiter by Main Sequence is a flexible tracking/CRM solution for recruiting, sourcing, and placement.